Welcome. Please take a moment and meet our beneficiaries; some of our beneficiaries are Wounded Service members and their families and some are Surviving Spouses and their children of our Fallen Heroes. All have made sacrifices for our Country. 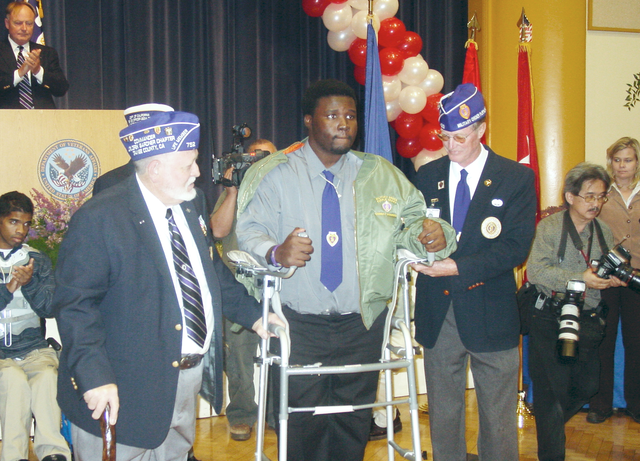 We consider them all Heroes and part of our family here at Wounded Heroes of America. In some cases, we reach out to them offering help and other times they reach out to us in need of help and support. The majority of our beneficiaries have either been injured or their spouses have been killed in Operation Enduring Freedom or Operation Iraqi Freedom. Our goal is to assist them financially each month for up to 18 months. If they have other needs and/or are in need of support, then we try to help with that as well (i.e. legal or financial matters, procuring special equipment, etc.). We want to help them as a way to say thank you for the sacrifices they have endured. Our hope is to create a long lasting friendship with them. So, please take a look at this section. We created it to not only introduce our beneficiaries, but more importantly to honor and recognize the sacrifice they have made and continue to make as a result of their service to our Country. We must make sure that their sacrifice is never forgotten. Please join us in this endeavor. Hi, my name is David After finishing high school in Portland, OR.I started working for United Parcel Service (UPS) in the warehouse; sorting packages, loading and unloading trucks. After working there for six years, I knew I didn’t want to drive a brown truck for the rest of my life. In August 2001, my younger brother joined the Army and I too, made that choice that would forever change my life. I decided I wanted to be a Chaplain Assistant with the ultimate goal of becoming a Chaplain. My journey in the Army started in Fort Jackson, SC. Upon completion of Basic Training and Advanced Individual Training, I received orders to Fort Hood, TX. To be attached to Mechanized 4th Infantry Division, 4-42 Field Artillery Battalion. On a training deployment to the National Training Center in Fort Irwin, CA.I was attached to 2-20 Field Artillery Battalion because they didn’t have a Chaplain Assistant and I didn’t have a Chaplain. From there, the Battalion Commander LTC Allen B West for 2-20 FA decided to make the Chaplain and me a permanent team.